Tara & Leon's wedding was one of my favorite weddings that I've ever been a part of. Every touch of their day was so sweet and personal. Their closest friends and family surrounded them in a historic chapel for their intimate ceremony, it was a beautiful way to start their life together! When I met Tara for our coffee date last year, she told me all the little details about their wedding vision. She wanted simple, rustic and heart warming, I had a feeling this was going to be amazing and I was already starting to get excited. A few months later I got to meet Leon and their fur baby, Scooter for their engagement session, and after seeing how adorable they are together I got even more excited. We had so much fun getting to know each other, and it is so clear that these two are made for each other! Tara and Leon had their ceremony at Andrews Memorial Chapel and Beso Del Sol Resort in the quaint town of Dunedin, FL. The day went so smoothly and every little detail was perfect. 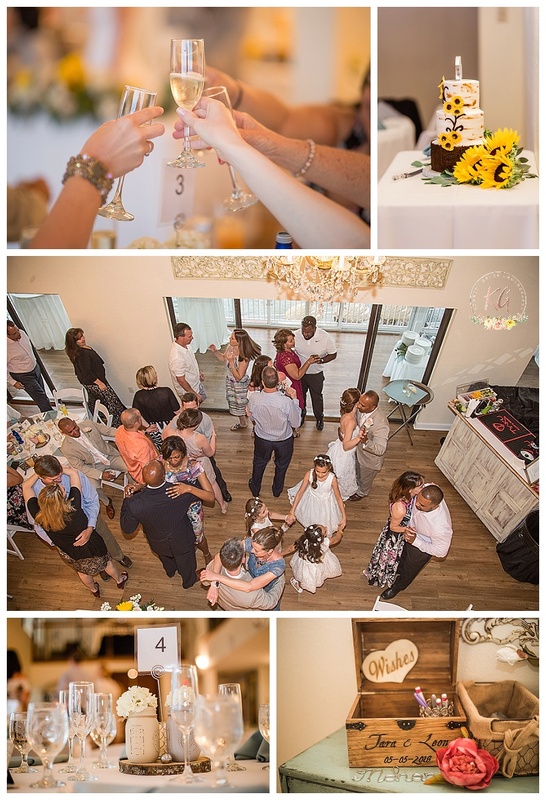 Beyond the beautiful venue and the gorgeous decor, I enjoyed seeing the endless love that was EVERYWHERE! Not only between Tara and Leon, but the enormous love of all of their friends and family that traveled from all over, Ohio, Virginia, North Carolina, Pittsburgh, St. Louis and Florida to celebrate with these two! There was so much hugging and smiling! My heart melted so many times. Tara and Leon, Thank you so much for choosing me for your big day! Thank you for trusting me and letting me follow you around all day! Thank you for having such fun and warm and sweet personalities! I enjoyed every minute of getting to know you both! All images shown are low-res, for publication purposes full gallery please contact directly. Amici's Catered Cuisine – We fell in love with the variety of colorful pastas (bowtie, penne and cheese tortellini) in the pasta bar. Amici’s staff is kindhearted, caring, and committed to the finest in taste and professionalism and didn’t take away from the intimacy of our wedding.